January 18, 2012 Marcus Mottley, Ph.D. The emotional pain of losing a loved one can take a toll on the heart, at least metaphorically. But can it trigger an actual heart attack? 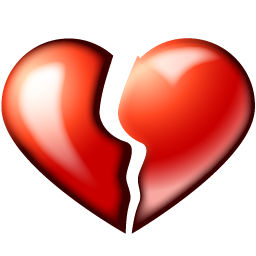 In a large new study, scientists have confirmed what the medical world has long suspected: The so-called broken-heart syndrome is real. The study, published on Monday in Circulation: Journal of the American Heart Association, found that a person’s heart attack risk is 21 times higher than normal the day after a loved one dies. Over time the risk of an attack declines, but it remains elevated within that first month. In the first week after a loved one’s death, for example, the risk was six times higher than normal, said Elizabeth Mostofsky, the lead author of the paper and a postdoctoral research fellow at Beth Israel Deaconess Medical Center in Boston. “If a bereaved person is having symptoms like chest pain, they shouldn’t simply say, ‘Oh, I’m dealing with the stress right now’ and ignore it,” she said. Other studies have uncovered greater heart and mortality risks in the weeks and months after the loss of a spouse, a child or another loved one, but the new study is the first systematic look at the immediate effect. The researchers interviewed nearly 2,000 people hospitalized for heart attacks over a five-year period and controlled for variables like health and history of disease. Those with previous heart risk factors were more vulnerable, but the odds increased even for those with no coronary history. Dr. Mostofsky pointed out that bereavement could provoke depression, anger and anxiety, all of which can elevate the heart rate and blood pressure and increase blood clotting.